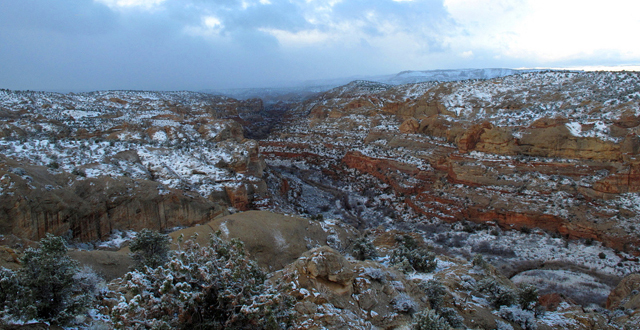 Welcome to Escalante, Utah, one of the best places to stay as you experience the grandeur of the Southern Utah region. The area was settled in 1875, and the town was eventually named after Spanish Missionary, Father Silvestre Velez de Escalante, who traveled near the Escalante River on an expedition in 1776. Click here for more History Information. This Complete Guide to Escalante, Utah will have information for your visit. In the lodging section you will find links and information for places to stay such as: hotels, motels,and bed and breakfasts. You then will be able to view activities in Escalante, Utah by category which include horseback riding, ATV tours, air tours, biking, entertainment, fishing, golf, hunting, museums, paintball, ranch activities, rappelling, river running, shopping, snowmobiling and skiing. If you're going to camp or bring along your RV trailer on your visit to Escalante, Utah, then you will want to check out the camping and RV park section of the website for links to great places to stay. Everyone will want to find the best places to dine when visiting Escalante, Utah. Check out the dining section to find your restaurants. Escalante, Utah is an excellent base from which you can explore the Grand Staircase Escalante National Monument, Bryce Canyon National Park, Capitol Reef National Park or the Glen Canyon National Recreation area (Lake Powell). Also close to Escalante, Utah are the Dixie National Forest, Kodachrome Basin State Park, Anasazi Indian State Museum, and the Escalante Petrified Forest State Park. Here are a few cities to visit when you travel to Escalante, Utah: Las Vegas, Nevada, Cedar City, St. George, and Salt Lake City. Directory for Los Angeles, California coming soon. In Escalante, Utah you'll find a variety of lodging and dining options. While Escalante, Utah is not a large town it does offer many of the services you'll need to enjoy a vacation amidst the most spectacular scenery in the world. Click here to see more about the History of the area!